This Sunday sees the start of new six-part drama series By Any Means. 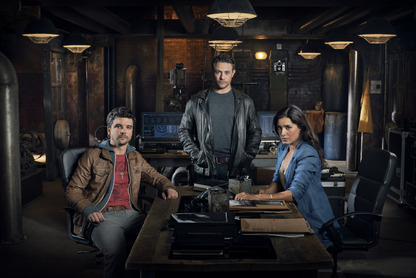 I chatted with Shelly Conn on set in Birmingham to find out where she fits into the clandestine team of crime fighters. I play Jessica Jones, she's a bit of a chameleon and she does a lot of role playing. She's quite efficient and up front and passionate about justice. She has a mysterious back story and she seems to have a sense of duty to put the wrongs right. Have you enjoyed playing your character and also the characters that she has to play? Yes, that's really interesting. The first scene we shot together we felt like we were hitting the ground running. We were playing our characters for the first time, but our characters were playing characters. It was really crazy but that's the fun of it and it makes it feel fresh and original. Is there any romantic chemistry between Jessica and Jack? We're not really going for that to be honest. It feels like they are kindred spirits and they've known each other a long time. What's like being the only girl? It's great. There's a great vulnerability to her. There's a family dynamic to the team and she's very loyal to her boys. At points she tells them off like she's their mum and at other points she's their sister. It's really great to be able to all of that. I never saw that on the page but that's what has developed and it's lovely. How would you describe the atmosphere on set? It's been a great laugh. We've discovered this shared sense of humour which is a lovely feeling on set. 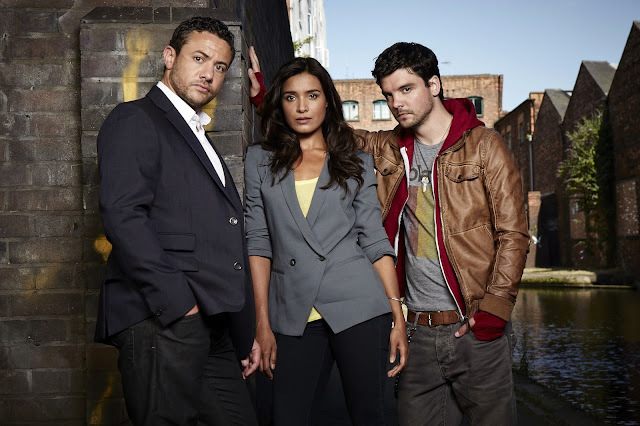 How did you find filming in Birmingham? I have to be honest I was completely prejudiced about Birmingham, actually it's great for shooting, everyone's really friendly and there's lovely parks around and things so it's lovely.